Find your place in the heart of the world’s most exciting cities. Every elegant hotel brings you close to coveted experiences, from dining in London’s top Michelin-starred restaurants to enjoying epic views of Jerusalem’s treasured Old City. Discover just a few of our favorite properties around the globe, where we’ll provide special privileges to enhance your well-deserved vacation getaway. The Westbury Mayfair, a Luxury Collection Hotel, situated in the heart of Mayfair — London’s most exclusive fashion and boutique district — is the only hotel located on Bond Street, a stone’s throw away from shopping, theaters and London’s commercial center. The property has been newly renovated by Alex Kravetz Designs, and guests can enjoy a heightened sense of luxury with 225 classic chic bedrooms, of which 64 are contemporary and elegant suites. With four AA Rosettes, the Michelin-starred restaurant Alyn Williams at The Westbury offers culinary artistry and features two exclusive private dining rooms, the Wine Room and the Aspen Room. A secret gem in cosmopolitan London, The Polo Bar is an opulent Art Deco-inspired space named Best Hotel Bar by the London Club and Bar Awards 2016 and London’s Bar of the Year 2014 by The London Lifestyle Awards. Tsukiji Sushi is an intimate restaurant, seating only 20, and it’s a perfect fusion of Japanese cuisine and Mayfair spirit. *Restrictions and minimum-night stays apply. Click the Learn More button for details. 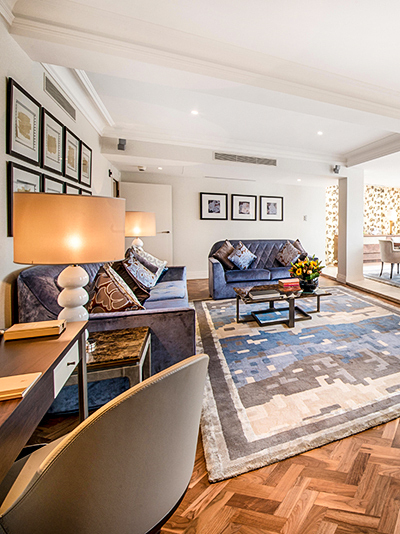 Discover The Berkeley’s breathtaking collection of rooms and suites, which are among the most spacious in London; many include private garden terraces and quiet balconies. All rooms and suites skillfully combine comfort, stylish design and the latest innovations to meet the needs of the modern traveler. 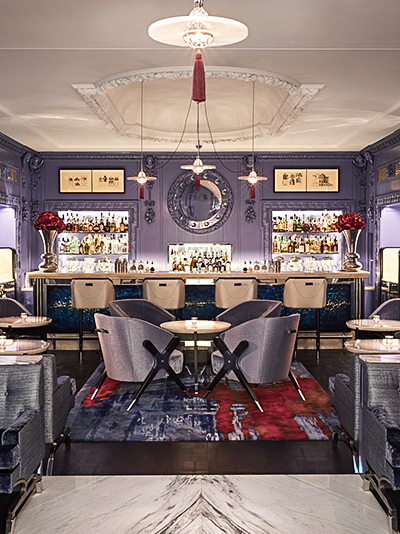 Marcus Wareing offers two-Michelin-starred dining at his eponymous restaurant, Marcus, within The Berkeley; the stars come out for colorful cocktails at the Blue Bar; and fashionistas join Prêt-à-Portea, a catwalk-inspired afternoon tea served in the beautiful Collins Room. On the seventh floor of The Berkeley, the heavenly pool, secret garden and luxury Bamford Haybarn Spa provide calm retreats with views over the London skyline. The Berkeley is located at the edge of Hyde Park in fashionable Knightsbridge, a short walk from Harrods and Harvey Nichols. Behind the hotel sits the residential area of Belgravia, a charming enclave of Georgian terraces, cobblestone streets, independent shops and traditional pubs, conveying the feeling of an English village. Discover a unique landmark in the heart of Jerusalem. Set in extensive private gardens, King David, Jerusalem is a stately, stone-faced building overlooking historic sites of the legendary Old City and is replete with sophisticated hospitality. 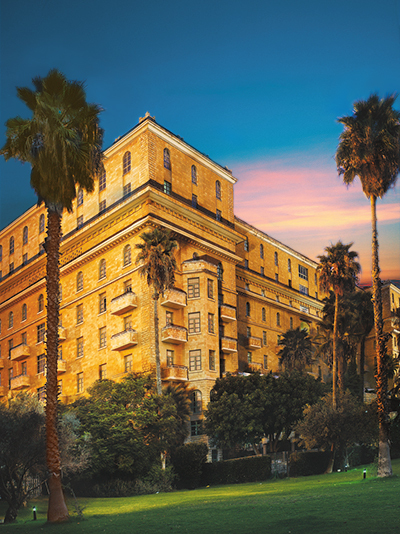 Built in the 1920s at the meeting point of the historic Old City and dynamic New Jerusalem, the King David hotel delights the eye with stately pink quartz exteriors and exotic public rooms decorated with motifs that recreate a bygone romantic era. Other singular attractions of the King David hotel are the spacious private gardens that enclose green lawns, a tennis court, adults’ and children’s swimming pools, as well as a children’s playground and quiet corners for relaxing. Our collection features an incredible variety of hotels and resorts in iconic cities around the world. Call us today and we'll help you find the perfect stay!